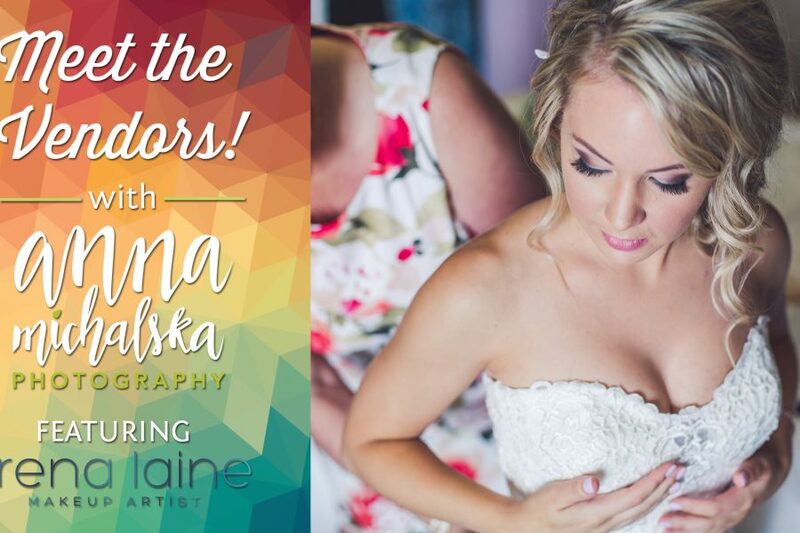 Award-winning makeup artist and proud members of Calgary Bridal Alliance and the Better Business Bureau, Trena Laine Makeup Artist supports both the fashion and wedding Industry. They continue to serve local and well-known professional wedding planners and photographers. Trena Laine Makeup Artist is the Runway Lead Makeup Artist for both Wedding Fair and Bridal Expo. Click on the video to check out my interview with Trena! The transcript is available below the video. You can visit Trena Laine Makeup Artist, Calgary Wedding Makeup Artist website by clicking here. Anna: Will you do a trial run of makeup before the wedding day? Trena: Yes – 2-3 weeks prior. The closer to, the better, as all your details including: hair styling & color, will you be tanning, jewelry and the small details helps us pull the makeup together. Anna: Do you specialize in a certain look or technique? Trena: Beauty, lifestyle and enhancement makeup but it’s always about personal style with our clients not necessarily trends. We get you ready for your engagement session, wedding day and anything else to follow including maternity, anniversary as well. We get to see our clients go through every motion of life. Pretty amazing! Anna: What is your training background and experience? Trena: I am certified in esthetics and one makeup class, pretty much self-taught over last 10 years. I took more business workshops and seminars to educate myself better as a bossbabe… I now have a company and I educate other artists, including my own team. They are all trained, certified through my instructing and now mentor them. Anna: If the bride changes her mind about her beauty look, is there a charge for a re-trial? Trena: It depends, but honestly, we interview so well at the beginning of the trial that small things can be changed wedding day of. We always have our clients arrive with a vision in mind, we visit, discuss, look at inspiration, in which we pull up past brides we feel would resonate with what our current bride is seeking. In my entire 10 years I’ve only had handful of brides who wanted to completely change the look but we usually don’t encourage a re-trial but we have on a couple of occasions which is usually on us. Anna: Do you work on location or do you have a studio? Where is the makeup done on the day of? Trena: Everything happens in our Marda Loop studio except actual wedding day, we come to the client. It’s a personal, stress free service where we show up in your home or hotel room so you can stay in your pjs and visit with your loved ones instead of worrying about rushing around. Anna: Can a bride bring examples of makeup styles she likes? What about photos of wedding day details? Trena: Of course, but again, we chat prior to starting any application as I love even more details including the dress, hair, jewelry, theme of the wedding, helps pull everything together. Our job is to educate and create personal style for the client. We also educate our clients on their eye and face shapes as odd time a bride will arrive with inspiration for certain look and if they do not have the eye shape for this certain look we walk them through this. Anna: What kind of prep does a bride need to do before the trial or the wedding day? Trena: We have a list, and it also depends on their skin type. We suggest a few tricks and tips to do prior to wedding day. Anna: What happens if you are ill or otherwise unable to make it to the wedding? Trena: It has NEVER happened in 10 years however we have a team but I also have friends who are competition that would step in, love the Calgary wedding industry for one of those reasons, everyone helps out when possible. Anna: How much time do you need for each person on the day of the wedding? Trena: 20-30 mins pending the application/style/age of the client. Anna: What is the booking procedure, and how far in advance should a bride book her wedding day makeup artist? Trena: A year in advance is perfect especially if your wedding falls during heavy wedding season or holidays. Get that deposit in!